When someone gets around to a creating a “What garage-rock hero are you?” online quiz—and it’s just a matter of time—the answer to get is Greg Cartwright. Dan Auerbach seems like too much of a striver. Jack White is a weirdo. 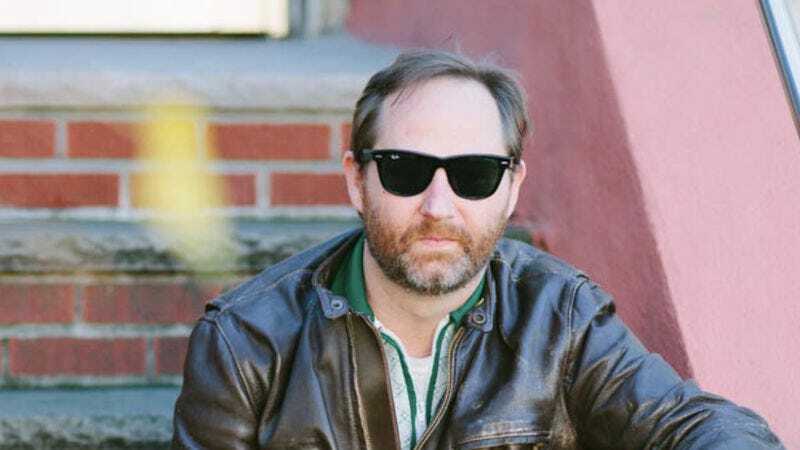 Mick Collins wouldn’t be bad, but not even the supremely cool Dirtbombs leader can match the gut-punching soulfulness and sheer likability of Cartwright, the man behind such bands as the Oblivians, Compulsive Gamblers, and best of all, Reigning Sound. After more than a decade of shuffling through sidemen—and releasing great records in spite of the revolving door—Cartwright finally has a steady Reigning Sound lineup. On Shattered, recorded at Daptone’s Brooklyn studios for new label Merge, the stability shows. Cartwright has a musical blood brother in organist Dave Amels, whose ever-warm whirring gives songs like “Falling Rain” and “If You Gotta Leave” their sweet, reassuring feel. On the revved-up Southern soul gem “You Did Wrong,” Amels spoons out the gravy for your next mash-potato dance party. In true Reigning Sound fashion, Shattered spans fun and fuzzy rockers like opener “North Cackalacky Girl” to bluesy ballads like closer “I’m Trying (To Be The Man You Need).” The fivesome—rounded out by three members of Amels’ Brooklyn-based soul band The Jay Vons—has mastered just about every post-rockabilly, pre-punk form of American music worth hearing, and they’ll even nod to the Brits. On “My, My,” as Cartwright nails a mean Them-era Van Morrison rasp, the band conjures up the timeless excitement of picking up a girl, taking her to a rock show, doing some smooching, and telling her daddy what’s what. On the stately pop sparkler “Never Coming Home,” Cartwright gets an extra emotional tug from the guest violins—a welcome addition. “It feels much later than before,” he sings, capturing the weary tone of a guy who’s been up all night, waiting for a call he knows isn’t going to come. While Reigning Sound has definitely rocked harder, there’s more to life than going loud and fast. This is confident, uplifting music from a true-believing family man and sometimes electrician with no apparent desire to play stadiums or steep himself in mystique. Cartwright makes awesome rock ’n’ roll for the best and truest reason: because there’s nothing more awesome.